The most expensive fish ever sold was a Bluefin Tuna, sold in January for $3.1 million in Tokyo. Whilst this fish was actually sold in the food industry, some aquarium fish can also come with an extremely high price tag because they are so sought after. Fish are usually priced on how rare they are, their beauty and uniqueness, and their availability. The more commonly available a fish is, the easier they are to breed in captivity, the cheaper the fish. Here are six of the most exquisite and expensive aquarium fish. The fish featured here are extremely rare and difficult to come by, hence the huge price tag! 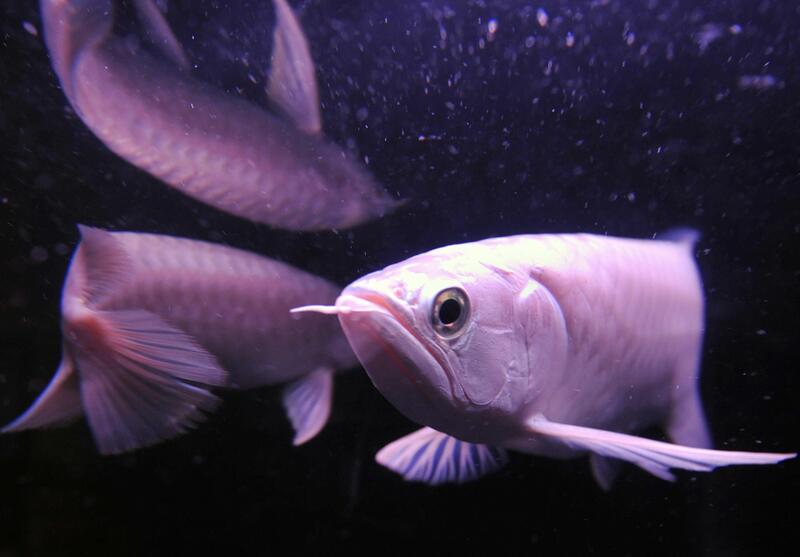 Ranking number one, in the most expensive fish in the industry is the Platinum Arowana. The Platinum Arowana is one of the most expensive fish in the aquarium industry because of its beautiful color and the difficulty in breeding it in captivity. These fish have been known to sell for over $400,000. Their platinum coloring is the result of a rare genetic mutation, not all Arowanas are priced so highly. These stunning creatures need a minimum of 250 gallon fish tank as they can grow up to 3 foot in length. They are difficult to care for and should only be kept by experienced or professional aquarists. This fish is a carnivore so will require a meaty diet of small fish, snails, insects and crustaceans. This can soon become an expensive cost, but if you’ve spent $400,000 on the fish, then cost probably isn’t an issue to worry about! In Asia, it’s believed these fish neutralize negative influences and boost health, luck and prosperity. The most expensive freshwater stingray sold for $100,000, due to its unique genetically mutated head which gave it a U-shaped look rather than the typical round look that other stingrays have. Ironically, this stingray wouldn’t have been able to survive in the wild due to this defect, because it wouldn’t have been able to successfully hunt for food. In captivity, it needed to be hand fed in order to survive. Nevertheless, it’s easy to see why this fish is so expensive. With its dark black body and white polka dot spots, this ray looks magnificent swimming across the floor of any large aquarium. Growing to over 18 inches in diameter, these creatures need huge aquariums which are at least 500 gallons. They’re very active fish with a high metabolic rate, so they need to feed twice a day on other small fish, worms and crustaceans. This fish is renowned for its rarity and beauty. There is only one specimen available to view publically in the whole world, at Waikiki Aquarium in Honolulu. The aquarium was offered in excess of $30,000 for the fish but it decided to keep the fish on display so thousands of people can enjoy its beauty. Looking just like a peppermint sweet, this red and white fish only grows to around 2.5 inches. This might well be the most expensive reef fish, per inch of size, that has ever been seen in the hobby. There are plenty of other angelfish species which are much more commonly available and easier to look after in hobbyist aquariums. Most require a minimum of 125 gallon aquariums, and need to be fed a balanced diet of plant-based and meaty foods. The Masked Angelfish is a favorite amongst reef aquariums but it is rarely seen in the industry. These fish are abundant in the Northwestern Hawaiian Islands where collecting aquarium fish is strictly forbidden. First discovered in 1972, this fish grows to around 8 inches long and unlike most of the other fish featured here, it doesn’t sport any bright vivid colors or patterns. Perhaps its simplicity is what makes it so beautiful, with an incredible marble white body color, a black mask across their eyes, and blueish white lips. These fish start their lives out as females and eventually turn into males. Only one or two live specimens of this fish are collected each year, so it’s easy to see why they’re so sought after. At only 1.5 inches long, it’s hard to imagine paying so much for so little fish. Much like the other fish which come with extremely high price tags, the reason this fish is so expensive is due to its coloration and the difficulty in collecting wild specimens. The Bladefin Basslet has a white body with red markings, and a unique white fin which looks like a blade – hence the name! These fish are found in the Caribbean at depths of over 500 feet. Most Basslets need to be kept in tanks which are a minimum of 50 gallons, because even though they’re usually quite small, some can be aggressive, especially to their own kind, and so they need plenty of space to swim around. They need plenty of caves and crevices to hide in and feel comfortable. They are carnivores and will thrive on a live food diet of shrimp and other crustaceans. The Neptune Grouper is a highly prized fish that is extremely unheard of to come across in the trade. Whilst there are many groupers which are common throughout aquariums, this particular one displays a beautiful coloration which is one of the reasons for its high price tag. Juveniles tend to be even more expensive than adult specimens. With a hot pink body and brilliant yellow bands, this fish lives deep in the ocean and so a very rarely caught. When they are caught, they require special decompression and transportation to ensure they can survive in captivity. You’re more likely to see this fish for sale as food in Japan and East Asia. There are very few that actually make it up to the surface alive because they are brought up too quickly and die from decompression sickness. 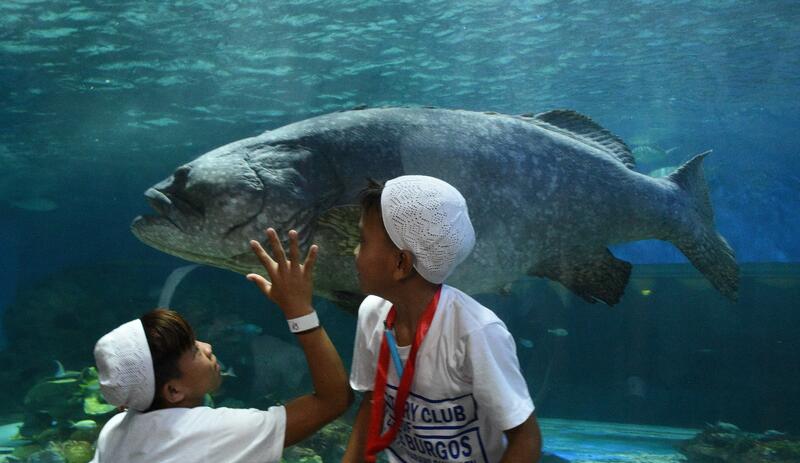 Groupers grow to be quite large fish, and require tanks of at least 200 gallons, depending on the species. As a carnivore, they enjoy foods such as shrimp, scallops and squid. If you’d like to own one of the world’s most expensive fish, you’ll need to make sure you have plenty of experience and enough space to house one of these rare, exquisite animals. Robert Woods is editor of Fish Keeping World, a website that provides aquarium and fish keeping advice.